Bananas for Sugar Free Treats? Have you ever had sugar free treats? Do you like something sweet after dinner?Are you trying to reduce your sugar intake? Well, how about bananas for some Sugar Free Treats? 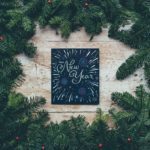 I have been Sugar Free for over 4 years now, and it can be difficult to get sugar free treats – no doubt about that! So I decided to create my own! I saw on the wonderful internet how frozen bananas could be blended to become a dairy free fake ice-cream, and I thought how lovely ice cream sounded, as I had not had any in years! However, fruit, and especially bananas, are high in natural sugars. 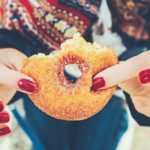 As I have had had years of sugar induced weight issues and I know how sensitive my blood sugar balance is, I knew that eating bananas alone could be too much of a sugar hit….YES….even natural sugars can be troublesome for some of us. For the body, sugar is sugar! Also, blending frozen bananas reduces the physical size, and could lead to actually eating 3 or even more bananas at one time if you fancied a bowl of ice cream. If your blood sugars are unbalanced to begin with, well then you are in danger of eating even more sugar – bananas or otherwise! The answer……. add protein and healthy fats from good quality peanut or almond butter. When we add protein and fats to carbohydrates that break down into sugar, we can reduce the impact on our blood sugar. Doing this can help to regulate and even eliminate cravings and binges. At anewu it is very important that you never feel deprived in any way, as this can lead to binges also. I have long been having fruit with some Meridian almond butter as a healthy snack. So during this so called summer, when others were enjoying ice cream, I came up with this hybrid idea! 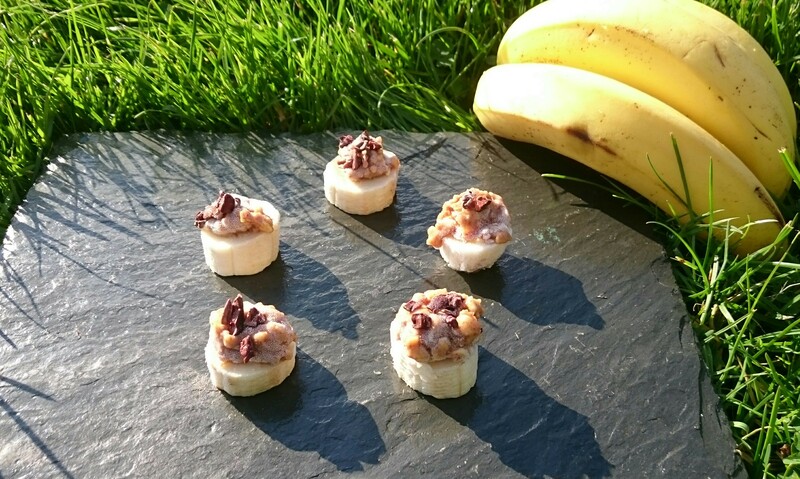 Having a banana for sugar free treats really could not be easier…or healthier! Bananas are loaded with potassium, managanese, vitamin B6 and Vitamin C. They are also low GL due to the fibre content and are a great source of FOS, which is a “food” for good bacteria in our intestines – thus improving digestive health. 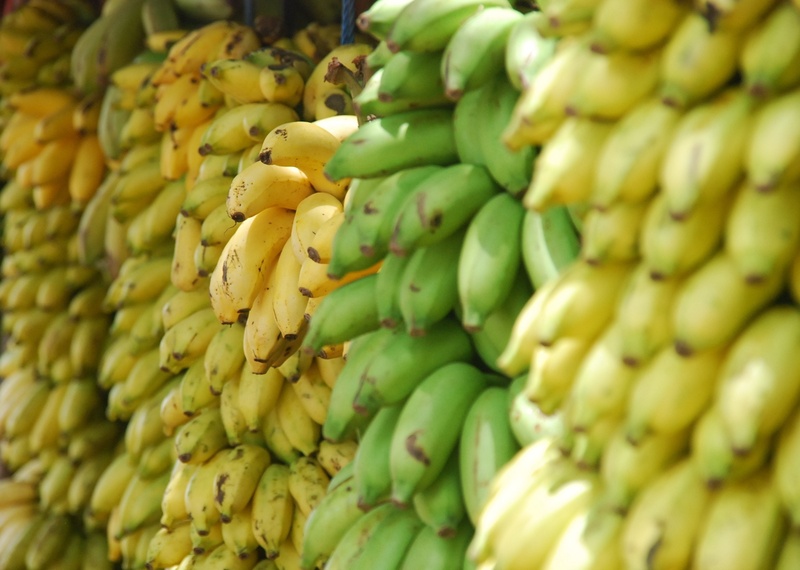 Check out Worlds Healthiest Foods post on bananas here for further nutritional information on bananas. Potassium is an important nutrient for heart health too, and you can check that out here. 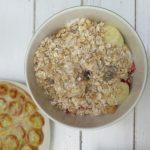 I just love bananas for their satisfying and sweet flavour and I use them as the sole sweetener in my Sugar Free Cereal Bars! Using good quality peanut butter, such as Meridian or Keen Nut is important, as some of the supermarket peanut butters can have added sugar, salt and trans fats which can all lead to negative health implication. Peanut butter is a source of healthy fat and protein, and helps to stabilise blood sugar and keep you fuller for longer, check out further health benefits here. Plus…..it tastes great! Basically, slice the bananas, place on a plate and freeze for 1-2 hours. Top with a dollop of peanut butter and a few raw cacao nibs for a chocolate crunch and enjoy some sugar free treats. I usually have 4-6 slices as a serving. They are also kid approved!!!!! And adult approved!!!!!! 086 3866372 or mail regina@anewu.ie. Sign up for my FREE newsletter to keep up to date with new recipes and posts. They are ready to eat within the hour! I like to have about 6 pieces as a treat after dinner/lunch.